Breakfast Cereal in an array of sizes, brands, and types. Shop popular cold breakfast cereals like Lucky Charms, Cheerios, and Apple Jacks. 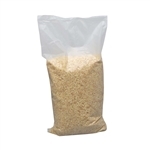 Bulk Bags of Cereal available for use in large foodservice settings like School Cafeterias, College Campus Dining, and Breakfast Buffets at Hotels. Most types of dry cereal available in retail size boxes, bowlpaks, 1 oz. single serve boxes, and 50 oz. bulk bags. Choose the right size of breakfast cereal for your restaurant or foodservice needs. 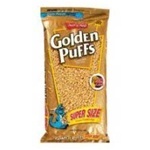 General Mills Family Assorted Cereal Single Pack - 0.85 Oz. Kelloggs All Bran Complete Wheat Flakes Single Serve Cereal 0.87 Oz. Kelloggs Cocoa Krispies Single Serve Cereal - 1.12 Oz. Kelloggs Corn Flakes Single Serve Cereal - 0.75 Oz. Kelloggs Corn Pops Single Serve Cereal - 0.75 Oz. Kelloggs Crispix Cereal - 30 Oz. Kelloggs Raisins Bran Single Serve Cereal - 1.25 Oz. Malt-O-Meal Crispy Rice Single Serve Bowl Pack Cereal 0.63 oz. 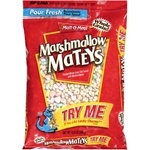 Malt-O-Meal Crispy Rice Cereal 32 oz. Pepsico 100 Percent Natural Oat and Honey Cereal - 28 Oz. Pepsico Life Cereal - 40 Oz. Cereal In A Cup Lucky Charms - 1.73 oz. Kelloggs Rice Krispies Cereal - 0.62 Oz. Cereal Bowl Pak Lucky Charms - 1 Oz. Rice Chex Cereal Bowl Pak - 1 Oz. Cinnamon Chex Bowlpak Cereal - 1 oz. Chocolate Chex Cereal Bulk - 49 oz. Rice Chex Cereal Gluten Free - 12 Oz. Lucky Charms Pouch On The Go - 1 Oz. 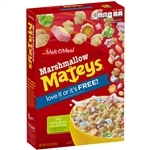 Lucky Charms Cereal - 10.5 oz. Lucky Charms Cereal Single Serve K12 Eq Grain - 2 Oz.